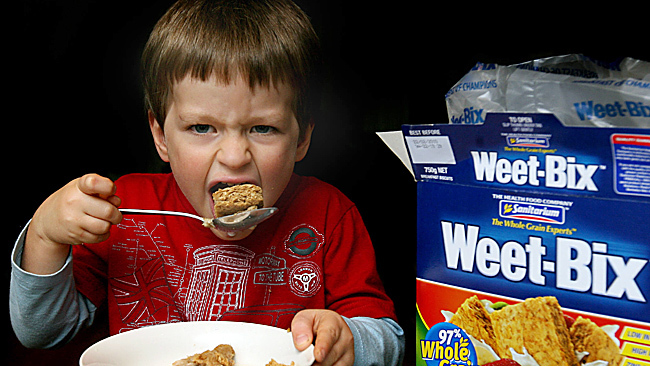 Weet-Bix is a New Zealand's most famous iconic and number one cereal Breakfast enjoy by many Kiwis of different generation from baby to adults. It is packed with carbohydrates, iron, and B Vitamins. They are low in sugar and they are 98.5% fat free, hence ideal for any child to have morning night or any time of the day. Plus give you that great kick off to the day. Nutritional experts have declare that morning meal or breakfast is the most important meal of the day, as it enhances or active the functionality of your body, so you don't have a problem with concentration, metabolism and weight when you start you day. So remember to have breakfast or something in the morning.